When you have a dental emergency, you may want to run out to the closest emergency dental clinic in Etobicoke or your city. However, while it is important to have a dental professional treat your issue as soon as possible, there are usually some immediate steps you should take before heading for the clinic. Depending on what your dental emergency is, there are certain things you can do to help minimize damage and improve your chances of recovery before ever stepping foot in your dentist’s office. While it is always good to be pro-active and have regular dental checkups and hygiene treatments, sometimes dental emergencies like chipped or broken teeth happen. Here are a few tips and suggestions on how to deal with some of the more common problems until you can arrange to see your general dentist for professional treatment. One of the most common dental emergencies is a loose tooth. 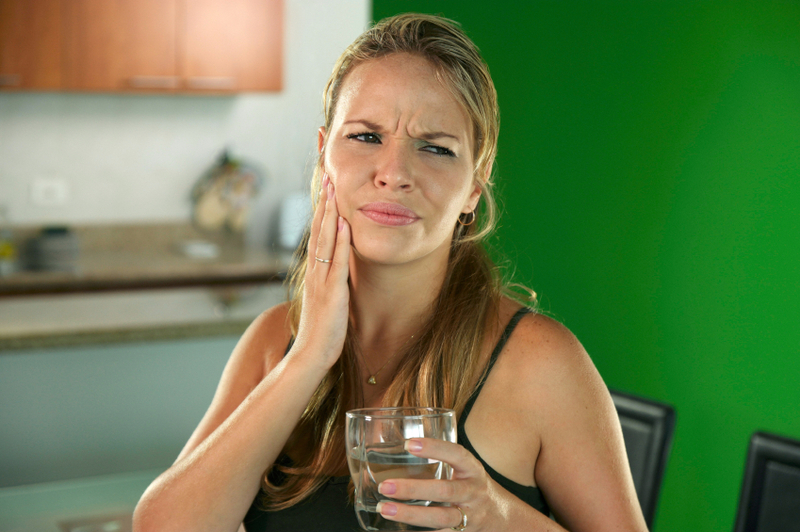 This is usually caused by being struck in the face with a blunt object, landing on your face or jaw after a hard fall, biting down on a hard piece of food, or trying to remove large chunks of food that are tightly lodged between two teeth. If you find one of your teeth is loose, the first thing you should do is try to make a dental emergency appointment as soon as possible. In the meantime, use your finger to gently hold your tooth in place. Do not force it as this can damage the root from the inside and cause the tooth to scrape against your other teeth. Use toothpaste, denture adhesive, or an over-the-counter dental cement to secure the tooth’s position as well until you make it to the dentist’s office. Fillings can easily fall out or be lost if they have been in use for a long time. If you lose a filling or a crown, try to see if you can locate the missing pieces and then immediately contact your local dentist’s office or emergency dentist’s office. Also, if your tooth becomes fully dislodged hold it by the crown and gently place it in a saline solution or milk. You can also store it inside your mouth between your teeth and the inside wall of your cheek. Quickly go to the nearest dental office to see if can be re-implanted. Swelling of the gums may not be a dental emergency. If you are experiencing swelling in conjunction with bleeding when brushing your teeth, it could mean that you are brushing too hard and need to use a soft-bristled toothbrush. It could also be a warning sign of impending gingivitis caused by years of plaque buildup. The best remedy for this is to brush your teeth at least twice daily and floss every night before bed. The swelling should subside over time with consistent dental care. However, if the swelling is on the inside of your mouth and it is secreting pus, then this could be an abscess and you should get it examined by an emergency dentist right away. This is an infection that most commonly afflicts wisdom teeth that have not grown in straight. Symptoms include: bad breath, swollen and irritated gums, a vile taste in your mouth, and the inability to fully close your mouth. If you feel pain, do not take any pain killers like Aspirin or ibuprofen because these can result in excessive bleeding. The best thing to do is to rinse your mouth out with warm salt water and call your emergency dentist immediately. This is a dental emergency for which you should get immediate care. However, there are crucial steps to take if you want any chance of saving the tooth. First, you need to take care not to damage the knocked-out tooth. Pick it up from the crown (not the root) and gently rinse it off. If you can, insert it back into the socket and bite down on a piece of cloth or fabric. If you can’t get the tooth back into the socket easily, then put it in a small container of water or milk. This will help ensure that it doesn’t get damaged. Then, go to an emergency dental clinic immediately and make sure that you bring the tooth with you. Like a knocked-out tooth, a broken tooth is another emergency that requires immediate care. Once again, it is very important to save any parts or fragments of the tooth. Place them in a small container wrapped in gauze or cloth. You should also rinse out your mouth with warm water. If you’re bleeding, use gauze to try to stop the blood flow. You should also use a cold compress on your face around where the injury occurred. When you have a toothache, you should rinse out your mouth with warm water and use an icepack or cold compress on the affected area of your face. Also, you should try to remove any food fragments stuck in your teeth. You can use dental floss gently to do so. One thing you should never do is put aspirin around your hurting tooth or gums. This is often recommended but can actually burn your gums, as can other painkillers. In this situation, a lot depends on the severity of the damage to the braces. In some instances, you can simply remove broken braces or other mouthpieces. However, there are some instances where this could damage your mouth, particularly if sharp wires are sticking out. In these cases, stick a cotton ball or a piece of gauze or some wax over the sharp pieces to prevent any injury from occurring, and then immediately go to your dental clinic. If wire is actually sticking into your mouth, gums, or cheek, go straight to the emergency clinic. As well, if you attempt cutting the wires, you could end up causing serious injury by ingesting or inhaling a small piece. Forget about fixing it yourself—you need emergency dental services.